Public transport in Cabo Verde is a maze for foreigners. Nevertheless, with some good tips and planning , it is possible to get to your destination and to return back. Most often, the choice is two-fold: 1) by taking a taxi you loose the least amount of time (but you have to be prepared to pay the 10-fold price), 2) by taking the mini bus (hiace) you will enjoy riding with the locals but will spend more time (finding the hiace, waiting for it to fill up and a spending more time waiting for passengers to get on and off) for less money. To get from Mindelo to the kitesurf spot at Salamansa by taxi, costs 1000 CVE (approx. 10 euros) one-way during the day. During the evening rates are higher. 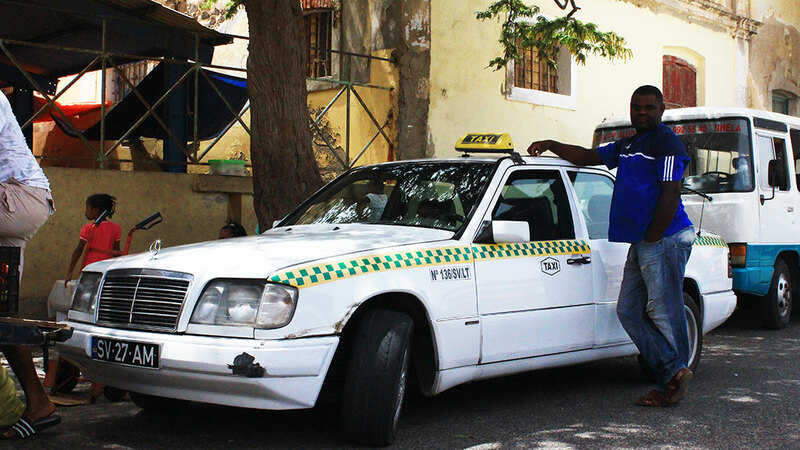 In Mindelo, you'll find taxis everywhere at pretty much any time. Just wave at taxis and they'll stop for you. If you are outside Mindelo, you'll have to plan your taxi ride in advance because it is unlikely that you'll find a taxi. 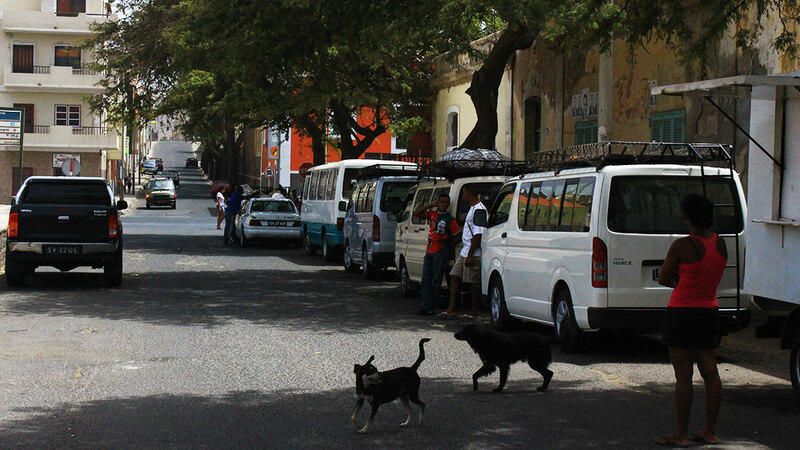 If you get lost in Mindelo, it is worth calling a taxi to get you back to your accommodation. Transport within the city costs only 150 CVE (1.50 euros). The biggest challenge in catching the hiace is knowing where they leave from, where they go to and when they leave. To catch them, it's best to go to Praca Strela. They are in operation pretty much all day, except for lunch-time (noon- 2pm). When at Praca Strela, tell the locals where you want to go to (e.g. Salamansa for the kitesurfing). A one-way ride costs 100 CVE (1 euro). Once you find the hiace that can take you, be prepared to wait (sometimes up to 30min) for it to fill with people before it leaves. The information provided is a result of 5 years of experience in guiding clients through the challenges of getting from A to B.